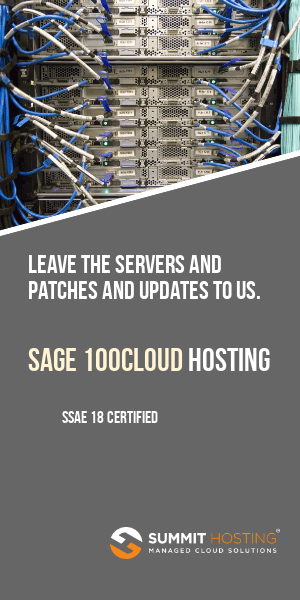 We’ve seen several reports from users upgrade Sage 100cloud payroll to 2018 from an earlier version. The error message reportedly occurs upon the second re-migration / conversion. Typically users will migrate and convert data once to test and configure. Then when ready to go live the data files are remigrated and converted. Copy the PRX.SOA ( Payroll Miscellaneous Tax Rate File ) from the PREVIOUS (old) version of Sage 100 into the new Sage 100cloud 2018 PR folder. This will reportedly allow the second migration to continue without error. As always, make backups of your data before changing any files. Please consult your Sage partners prior to making changes.